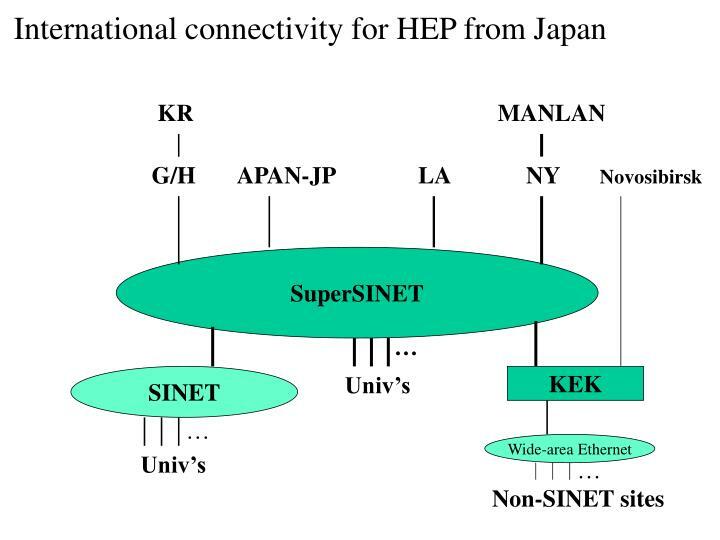 In Japan, SuperSINET connects most of major universities and national laboratories and provides them of 10Gbps IP connection, discipline-dedicated inter-site GigE’s, MPLS-VPN’s, and 10Gbps bandwidth to Abilene, ESnet, and Geant, and is indispensable for HEP and other e-Sciences. 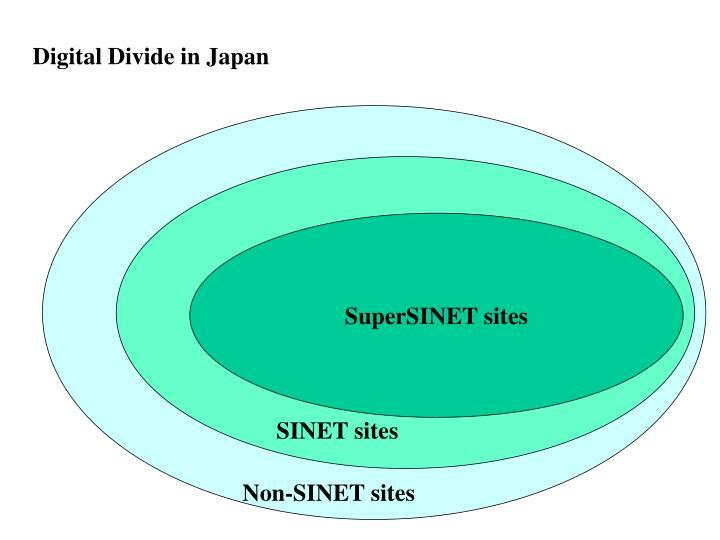 However universities (especially private universities) that are not SuperSINET nodes are facing Digital Divide. 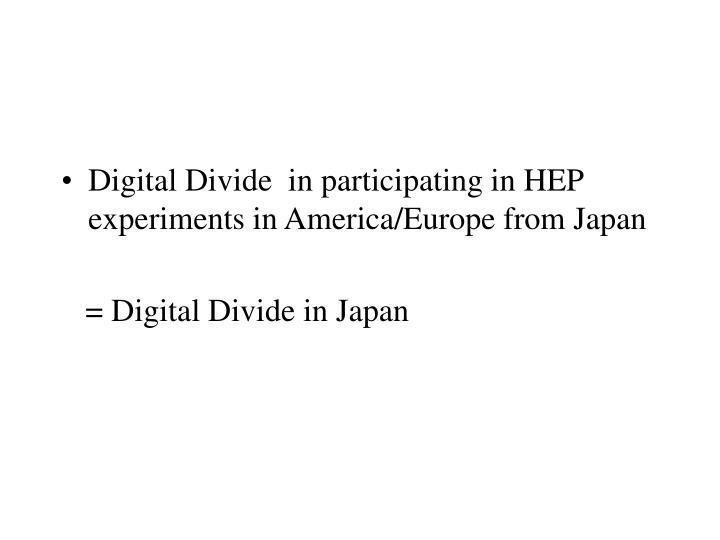 In Asia, APAN is providing, or is expected to provide, the networks necessary for HEP and other e-Sciences. Its bandwidth in east Asia is, or is becoming, ~Gbps. However the bandwidth in the other areas are very low (<~Mbps), which is producing Digital Divide. Only some nodes are shown. 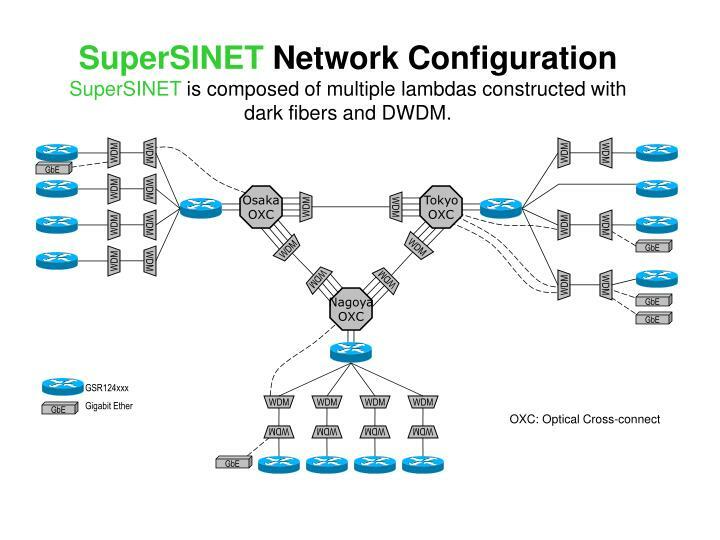 SuperSINET Network ConfigurationSuperSINET is composed of multiple lambdas constructed with dark fibers and DWDM. 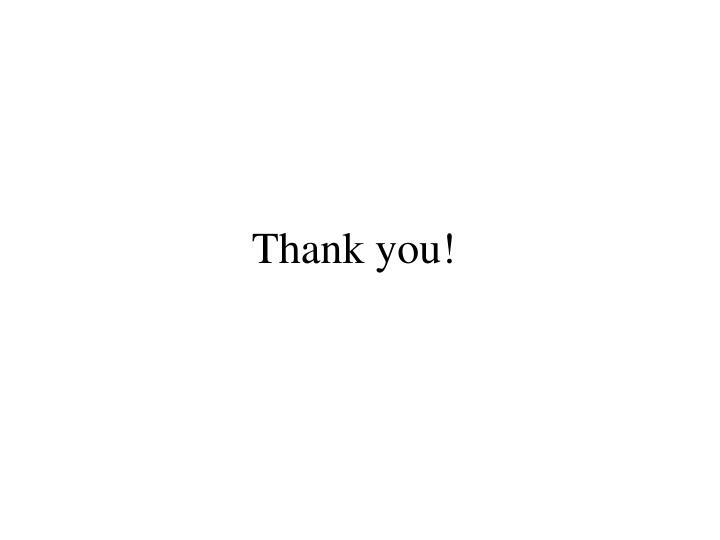 Each of the following HEP groups have its own VPN constructed with dedicated GigE’s and/or MPLS-VPN’s in SuperSINET . 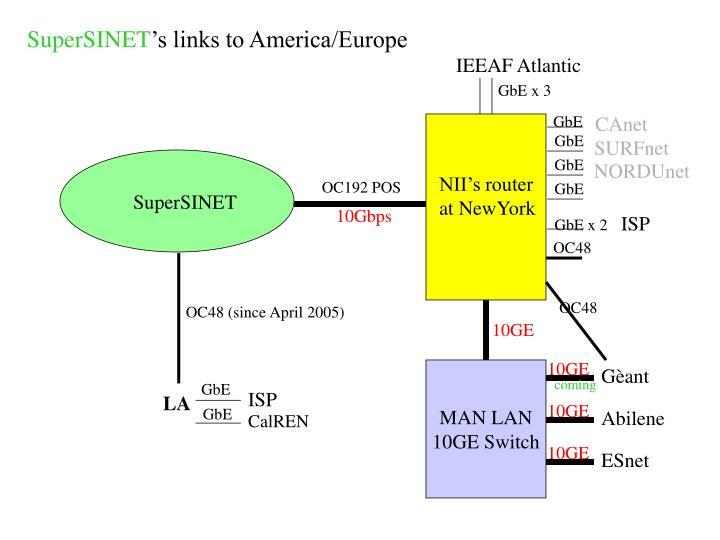 NII locates and operates a router at New York for SuperSINET’s peering with R&E networks in America and Europe. 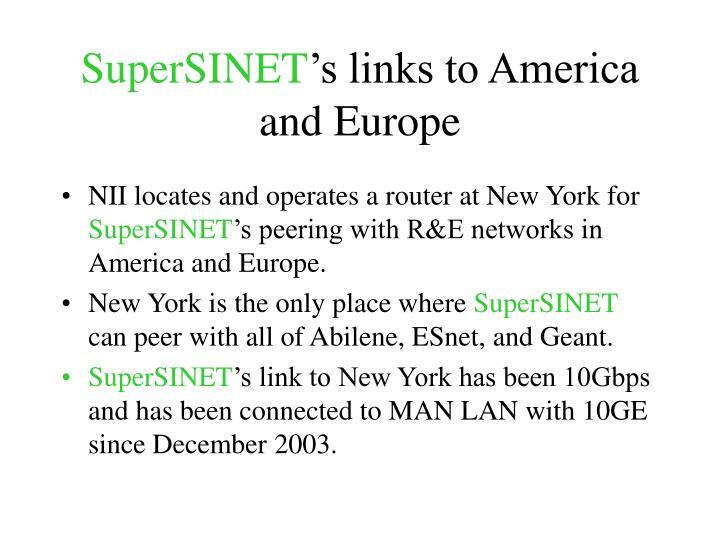 New York is the only place where SuperSINET can peer with all of Abilene, ESnet, and Geant. 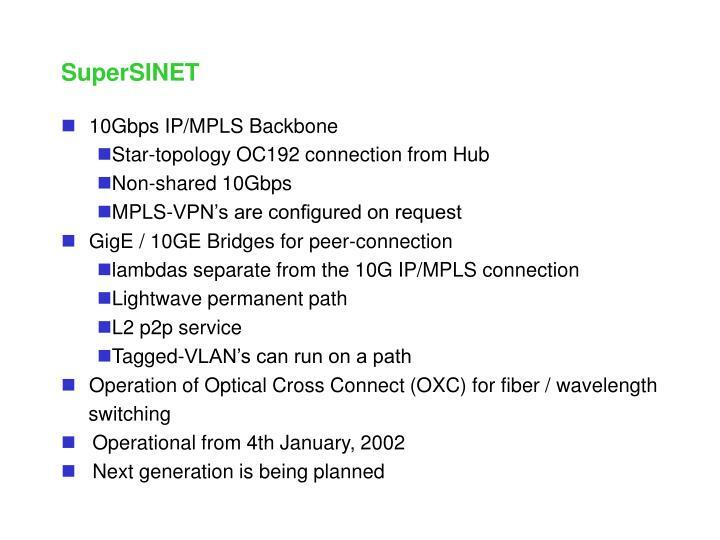 SuperSINET’s link to New York has been 10Gbps and has been connected to MAN LAN with 10GE since December 2003. 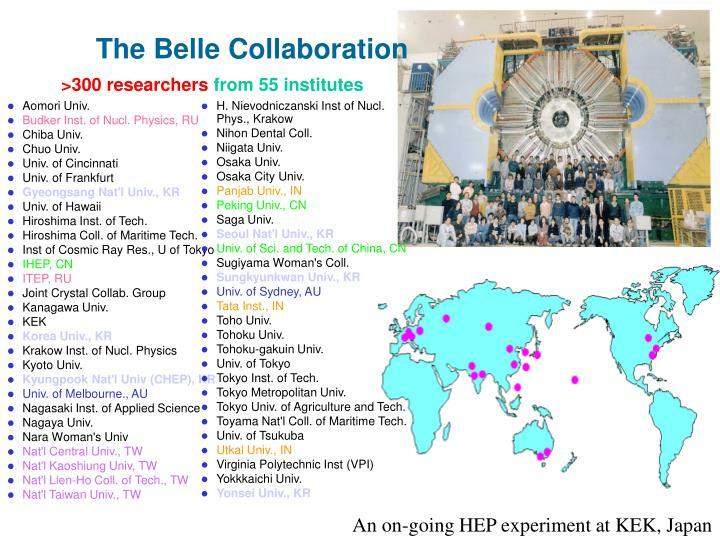 The network is essential for the HEP collaboration, and we needed to have it by ourselves. The cost for each half-circuit was/is paid by each end. SuperSINET’s America/Europe links are for the traffic from/to Japanese universities/institutes, while APAN/Transpac links are for the trafficfrom/to universities/institutes in Asia-Pacific. Hiroshima Coll. of Maritime Tech. Toyama Nat'l Coll. 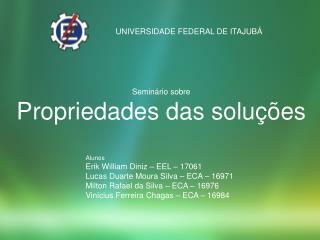 of Maritime Tech. 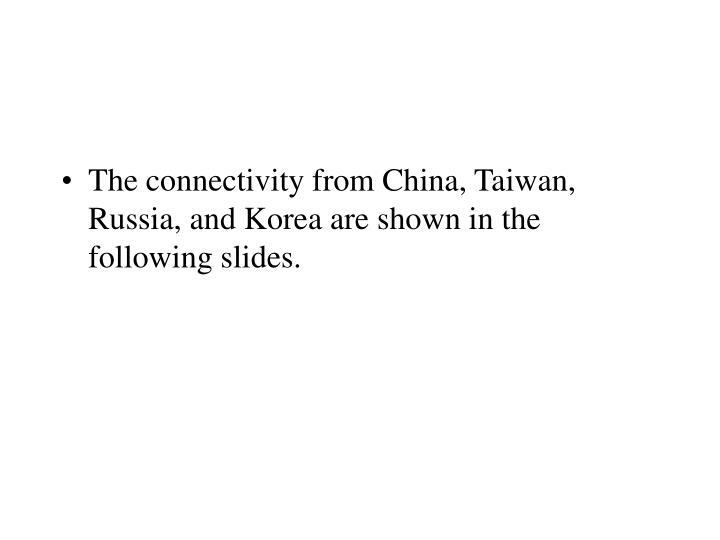 The connectivity from China, Taiwan, Russia, and Korea are shown in the following slides. 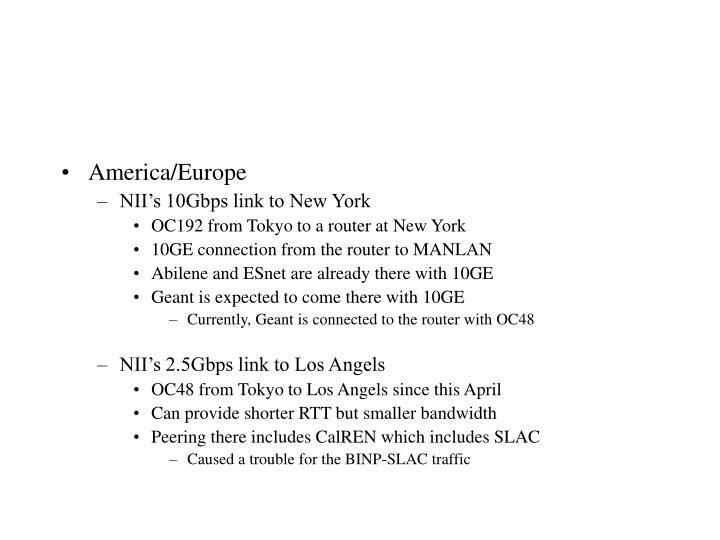 Japan (APAN-JP) is connected to Gloriad HK node with OC48 since this January. Gloriad HK and Beijing is connected with OC48. 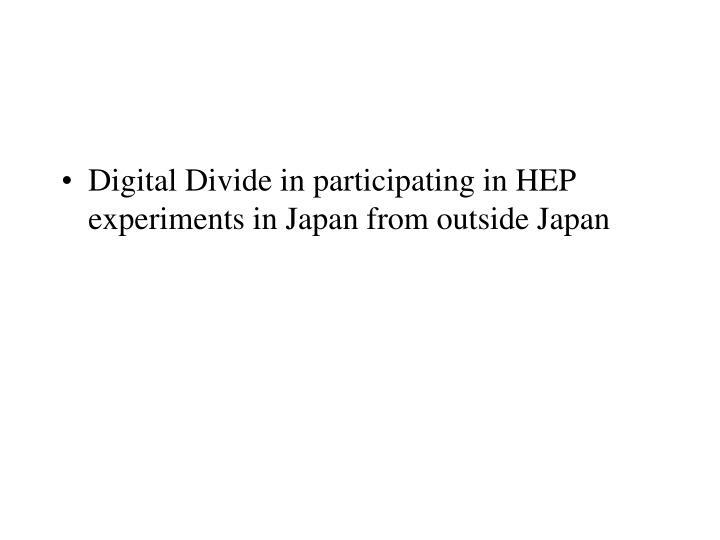 Thus, there is 2.5Gbps for China-Japan traffic. APAN-Taiwan has a router at Tokyo, which is connected to Taiwan at 622Mbps. APAN-JP router peers with APAN-Taiwan router with GigE. KEK is preparing to peer with APAN-Taiwan router directly with GigE. Established for the Russia-Japan HEP traffic. Provides transit for the Russia-ESnet traffic. 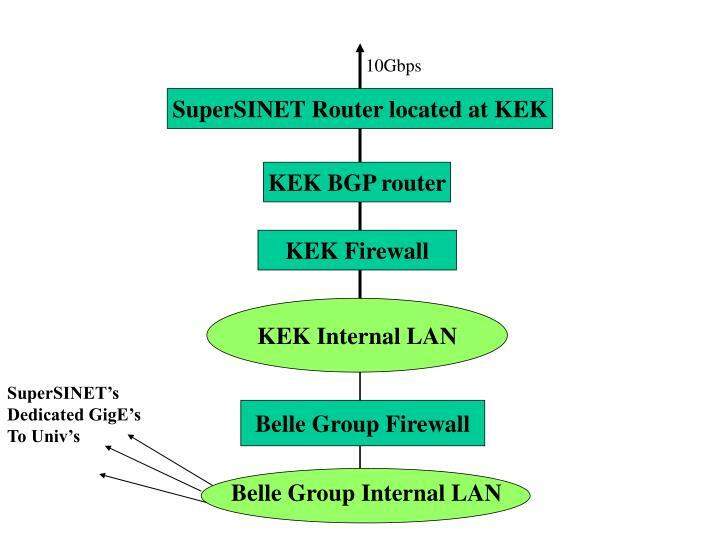 In order to exclude the foreign traffic, an IP tunnel connecting ESnet and KEK is used. Is expected to be available for Russia-Japan and Russia-ESnet HEP traffic, and to replace the KEK-BINP link. G/H (Genkai-Hyeonhae) started to operate in early 2003. 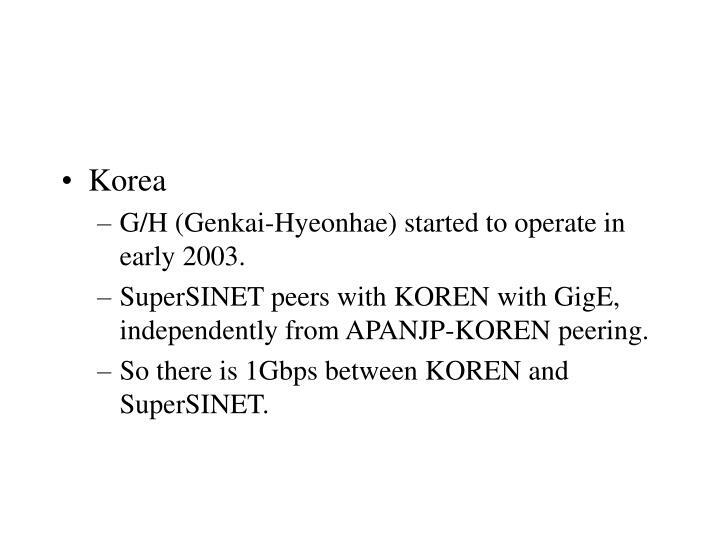 SuperSINET peers with KOREN with GigE, independently from APANJP-KOREN peering. So there is 1Gbps between KOREN and SuperSINET. 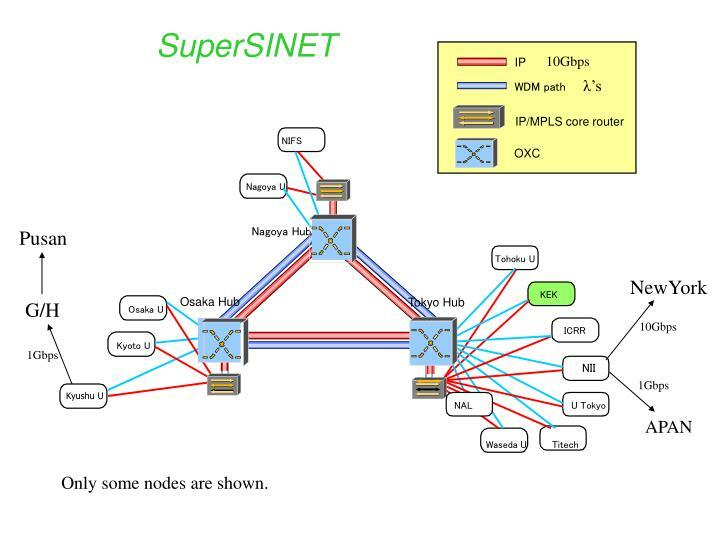 High-bandwidth access from SuperSINET to Belle Internal LAN is easy. 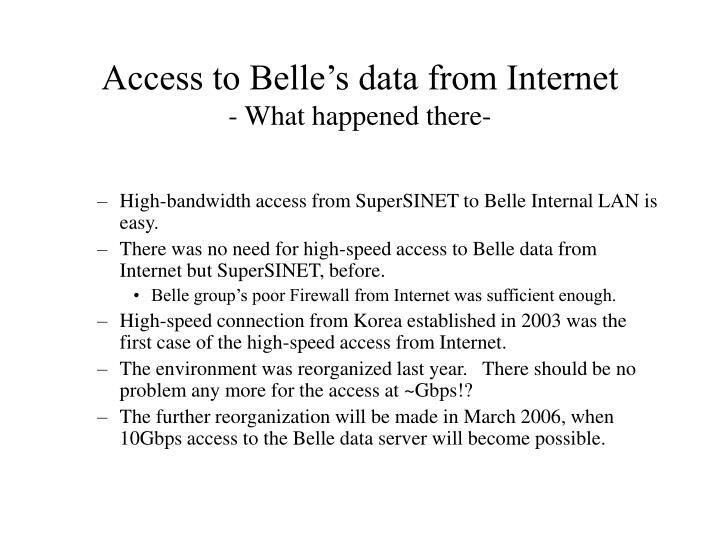 There was no need for high-speed access to Belle data from Internet but SuperSINET, before. 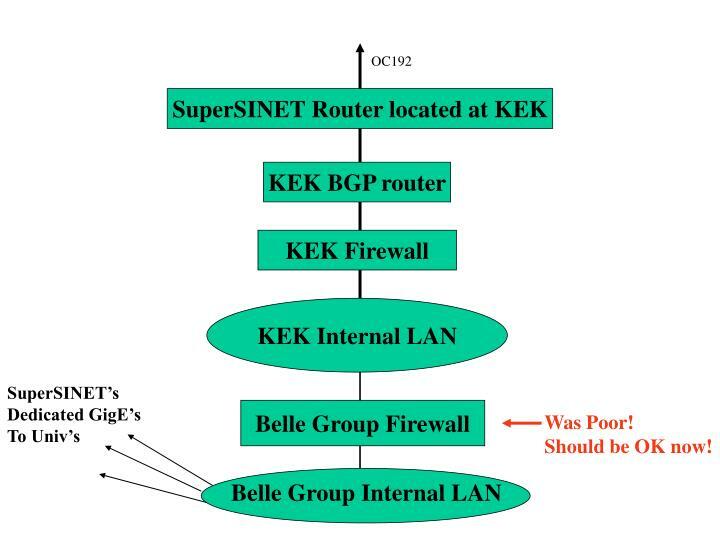 Belle group’s poor Firewall from Internet was sufficient enough. High-speed connection from Korea established in 2003 was the first case of the high-speed access from Internet. The environment was reorganized last year. There should be no problem any more for the access at ~Gbps!? The further reorganization will be made in March 2006, when 10Gbps access to the Belle data server will become possible.